One thing you probably don't know about me: I have no sense of smell. I know, I know, it's a lot better than being blind or deaf but it still can get me in trouble sometimes. I forget. In high school I took a job at the Railway Kiosk, a small booth at the Wellington Railway Station selling cigarettes, newspapers and snacks to commuters. Sally and her husband Gary ran the show and it was actually an OK job - time flew by and the other staff were really nice. After a couple of weeks though there was a problem and Sally had to pull me aside one day for a chat. 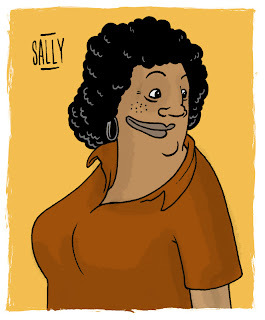 Sally is about the friendliest, nicest person you'll ever meet but she was unbelievably awkward that day, looking at the floor and wringing her hands. I knew it must be something serious. "There's been a few complaints from the staff" she said. "It's only a small booth and... well... you're farting too much."